Explore videos, hands-on labs and technical demos for a deeper dive on WebSphere Application Server - Cloud Native Use Case. Estimate the overall effort for migration with the IBM WebSphere Application Server Migration Discovery Tool. See how creating cloud-native applications in a microservice framework improves responsiveness and flexibility. Learn how Microservice Builder is empowering companies to shorten development cycles, reduce complexity and minimize costs. Learn how IBM Voice Gateway is improving telephone-based customer service by connecting IBM Watson Services to phone systems. Learn how to take advantage of all the benefits of V9 quickly and easily with the IBM WebSphere Migration Discovery Tool. Discover what mix of workload scenarios are being adopted in hybrid environments and how IBM WebSphere can help. Learn how this IBM Partner helped a client increase new account openings six-fold and win a BIBD award. Learn how WAS z/OS modernizes the mainframe and makes it a part of your architectural plans. Successfully plan and execute a migration to a newer version of the WebSphere Application Server. 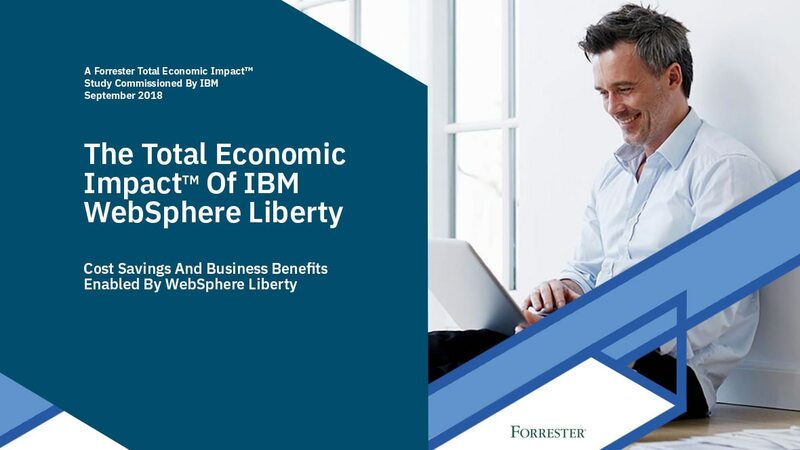 Learn about the improved availability, performance and security with IBM WebSphere z/OS. A step-by-step guide on how to get a free trial version of WebSphere Connect. See how IBM Voice Gateway helps enhance your call center operations by connecting to IBM Watson services.